“It’s a long life, so you are going to run into a lot of obstacles. It is okay if you can avoid them by dodging. But if you face a really big and serious problem, you have to tackle it to overcome.Go forward. Without hesitation, just go forward. It might be a long way to go, but it is the shortest way to success. Failure doesn’t mean defeat. You will lose when you give up.” by Chuji Kitajima, a former head coach of Meiji University Rugby Club. In our daily life and JCI activities, we may hit obstacles. In such a case, we tend to have a negative way of thinking. In order to go forward, we need a certain amount of risk, effort, and courage. I also faced serious problems twice in JC activities. Those were when I ran for the board of directors, and for the president. Both times, I was afraid of the failure, not to fulfill the position, attempted to save my own skin, and tried to escape from the reality. Each time, I remember this word “go forward.” My friends who worked together also pushed my back telling it would be all right. By just one step to go forward, we will grow and the road will be opened. Because the Junior Chamber International was founded in the chaotic era, and because the predecessors always kept going forward, we have been able to celebrate our 65th anniversary. February 4th, 1953, Junior Chamber International Fukuoka was established with a fierce mission that we, as youth, rebuild the devastated land after the war, and we celebrate our 65th anniversary in 2018. By predecessors” enthusiasm and courage, there is Junior Chamber International Fukuoka of today. Their firm belief, sublime ambition, and relationship of trust with members have provided emotional support. This year, we also celebrate the 30th anniversary of Asia Pacific Children’s Convention, and the 10th anniversary of Nakasu Jazz which were launched by our seniors, have been loved by a lot of people, have deeply rooted in our local community, and continued to glow. The predecessors’ beliefs and sublime aspirations have been handed down to the present time and have become energy for members to move ahead powerfully in all ages. What we need for members is to know history, uphold tradition, and pass onto the next generation. To build a new future, we need to be exposed to and absorb the great projects of the past. In the international community increasing instability because of power problems in neighboring countries, 50 years later, the population is predicted to become 80 million. It is essential to strengthen the economic competitiveness through creation of innovation in order for Japan to continue to prosper in the situation that we cannot escape from the reality of population decline. Meanwhile, with the rapid progress of the 4th industrial revolution represented by AI; Artificial Intelligence, IoT, Big Data, and robot technology, rapid changes are occurring in all aspects related to our lives and work.Under such a background, programming education will be compulsory at elementary school in 2020. Furthermore, STEM; Science, Technology, Engineering and Mathematics education attracts attention as a purpose of increasing the number of talented people who can innovate on a long-term and global stage, by promoting understanding of children’s science and technology, and improving science and technology literacy. It goes without saying that our economy is supported by the strong competitiveness of the manufacturing field. However, it is indicated that children have less experience of making things these days. Regarding the importance of manufacturing, it is considered that not just from the point of acquiring skills to make things as a maker, but rather these are really precious; the obsessiveness with details, patience, the sensitivity of values and beauty, Japanese traditional way of thinking “Mottainai (wasteful)” leading to a sustainable society, teamwork in manufacturing, and also the spontaneous attitude to make efforts to devise and improve. That is why when thinking about our future, I think that the spread and progress of science and technology will be the key to support Japan. Science has the power to give a dream to children and to encourage to explore. I would like to create various opportunities by using the power of science for children who are in charge of Fukuoka in the future. In 2014, Fukuoka CIty was selected as a national strategy special zone, and “growth next” was established in the previous Daimyo Elementary School. Fukuoka is highly evaluated for attractiveness and tolerance. I think Fukuoka has the foundation to produce startups the most in Japan. Traditionally, Fukuoka had weaknesses for the branches based economy and not having industrial incentives of the manufacturing, but while the industry leading the economy is changing from manufacturing to IT industry and service industry, Fukuoka is expected as the fourth nucleus following Tokyo, Osaka and Nagoya. Like Portland and Seattle in USA, I also think that Fukuoka has an environment to attract talented people. 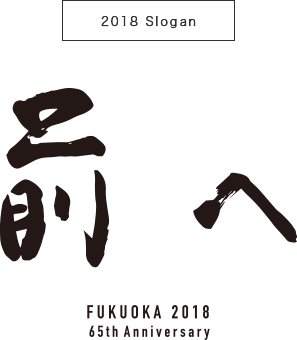 I believe that it benefits Fukuoka to hold an awareness of what kind of city we, Fukuoka citizens, want to make, and to attract talented to people to Fukuoka. In addition, recent young people tend to be called “Satori generation” which means they have a tendency to avoid wasteful efforts and conflicts and emphasize rationality. I wonder what the fact is. Those who experienced the bubble period seem to have ambition and self-development desire, but because of the trend of economic recovery by Abenomics and the Tokyo Olympic effect, I feel the consciousness of young people is about to change. Actually, there is already an entrepreneurial club in Kyushu University and there are more than 100 members. If we multiply the experience of Jaycee with young people, we can expect a wonderful synergistic effect. Furthermore, we, JCI, has not only a domestic network but also global. By utilizing such domestic and global networks, I believe that we can further deepen the synergy effect above. Someday we will lead them to join us as JCI members. Fukuoka has a lot of attractions, such as “the world’s leading city functions,” “rich food culture,” “world-class festival and its energy,” and “rich nature and environment.” With the increase of tourists coming from Asia, more than 19 million tourists visit in a year, and this will become a very important element to consider the future economy of Fukuoka. The world’s three biggest events; the Rugby World Cup 2019 was decided to be held in Japan, for the first time in Asia, and the Level 5 Stadium in Fukuoka City has been selected as a venue for the match. In addition, the Tokyo Olympic Games will be held in 2020 and the World Swimming will be held in Fukuoka in 2021. When mega sports events are held, a lot of tourists visit from Japan and abroad, the number of exchange people increases, and accordingly the great economic ripple effect will be generated. It is often said that Fukuoka does not have enough tourist attractions. That’s why Fukuoka believes that “Sports X Tourism” and the development of sports tourism are important for capturing more and more tourists. Last year, JCI Fukuoka and JCI Tsukushi mainly organized Dream Rugby Fukuoka, invited Auckland team from New Zealand, and operated the friendship game. This was accomplished because we, JCI, have become a bridge to connect administration, business, and rugby associations. This is the power of JCI. As a nonprofit organization, we are the only one to realize dreams by the thought and network without profitable account. This year, we inherit the relationship from last year, and increase the momentum for the All Blacks to visit Fukuoka in 2019. We think that JCI Fukuoka will actively participate in the World Cup and raise it up so that we can get world attention to Fukuoka. In 2010 “Asian exchange capital declaration” as a form of Fukuoka’s bright future, in 2013 “Stadium park concept” aimed at interchanges, and in 2016 “Grand Design Fukuoka” as a suggestion of a new lifestyle for Fukuoka; we have been suggesting the future of Fukuoka three times in seven years. In this year, we propose the feasible future of Fukuoka with more specificity adding to those three proposals. Culture enriches people’s lives, and brings excitement and spiritual comfort. Also, humans are born in a relationship with nature and climate, forming a regional culture. Therefore, culture is an important factor to express our own regionality. However, in recent years, it seems that culture traditionally handed down for a long time such as traditional arts and crafts has declined. It is thought that there are various factors such as a decrease in demand accompanying the daily lifestyle change, the aging of central figures of culture, and the lack of bearers. We will further disseminate the importance and appeal of culture by using JCI methods. We hope that young people will find cultural importance and attractiveness through our projects, and the traditional culture around Fukuoka and Kyushu will develop more and more. Our hearts are not limited only for the area. It is possible to spread widely. It is also possible to look at this area from a global perspective. Ignoring that possibility and grasping things in a small vision are an obstacle to grow, so we take various opportunities. I hope that members have a broad perspective, not thinking that only Fukuoka will become better, but also want to capture things in a wide range for Fukuoka prefecture and Kyushu. This year, the ASPAC in Kagoshima, the National Convention in Miyazaki, and the All Japan Jagaimo Championship Tournament in Fukuoka will be held. While Kyushu is receiving great publicity, as JCI Fukuoka, with our responsibility and pride as the Capital JC of Kyushu, we need to build up more excitement with JCI members in Kyushu. 1989 National Convention, 2004 World Congress, and 2009 Kyushu District Convention were all held in Fukuoka. Through those great experiences, the growth opportunity became the power of LOM, and we could create a lot of outstanding leaders, and evolve ourselves through passionate discussions. We were able to achieve the revitalization of our local area and the innovative change of people’s consciousness. However, there are no members who experienced the World Congress in 2004, so now we can only hear the experiences from senior members. In addition, I feel that JCI Fukuoka is now becoming a committee driven type. That might be because there is less opportunity for LOM to be in one. So, when do we say we want to get and host those conventions for the first time? It would be when members with high aspiration, passion, and the challenging spirit are united. Through their passions, we will make the new era. I hope more members participate the ASPAC and National Convention, learn the meaning and purpose of these conventions, then consider the future of JCI Fukuoka. We, JCI, are an organization that extract, plan, and execute social problems of our area. However, has our movement reached our citizens? How far have our projects in 65 years taken root in our community? If our identity of JCI Fukuoka is accepted, there must be no need to think about expanding or branding. However, no member increases unless we do an expansion campaign. No one also recognizes the value of JCI Fukuoka unless we consider branding. First of all, it is necessary to make Fukuoka citizens know our existence and understand our activities. For that, each of us should understand and think about our own organization, and communicate with people. Unlike other organizations, in JCI Fukuoka, we must graduate at the age of 40. In order to maintain and further strengthen the organization scale, membership expansion is the most important issue. For Fukuoka, let’s work together to make JCI Fukuoka one and only. Let’s create brighter Kyushu as leading LOM of Kyushu using our great power based on membership expansion. First, Junior Chamber International is the place to develop ourselves, not just a place to seek for a cozy relationship. Through working hard and encouraging each other, we improve and develop ourselves, and create strong JCI. However, now there is not much lateral communication. “Without regard to personal profit, act as yourself for others.” This is exactly the essence of Jaycee, and we have fostered a solid bond and created a strong JCI organization. We are adolescents and immature as a person. Let’s share our exciting and impressive lifetime and create strong JCI by our great passion. To become a leader of Fukuoka, I hope every member has a clear sense and dignity, not just being cynical, spend their daily life as a precious Jaycee. I would like to make Fukuoka a place where people have more attractive dreams. 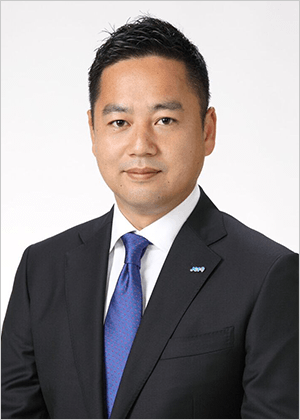 I would like to make JCI Fukuoka a more powerful and stronger organization. I also would like to foster each member to be loved more by their family and employees, and contribute to their local community. As a leader, let’s work together to be a role-model for our community. Today, Fukuoka and we are reaching the time of change. We, JCI Fukuoka, are in the center of this change with energetic youth business people. Let’s try to transform to create infinite value dreaming about our wonderful future. Remembering the support by family and company, and being always grateful, for the community, family and friends we love, go forward.